Our house is so central and welcoming - it's in the middle of all Hamilton has to offer. A short drive to the hospital, Claudelands and Botanic Gardens it is perfect if you need to be in Hamilton for a longer stay. A great place to break your trip through the North Island. The style is relaxed but super comfortable with new beds and linen. Apple TV installed and available for your use. An easy walk to Garden Place for shopping, restaurants and bars. The lake is a 10 minute walk away. Ideal for the business traveler - walk to meetings and leave your car in our off street parking. Wi-fi is unlimited. Smoking allowed outside only. Pets allowed with prior approval. No parties, gatherings or events. Cosy cottage, perfect for our trip to see the Balloons over Waikato. Thanks for even providing shampoo!! Very nice and cosy place. Very nice and cosy place. Purpose of our trip was to watch the cricket at seddon park and couldnt think of a more convenient place to stay at. Great property and location. Very clean with great facilities. 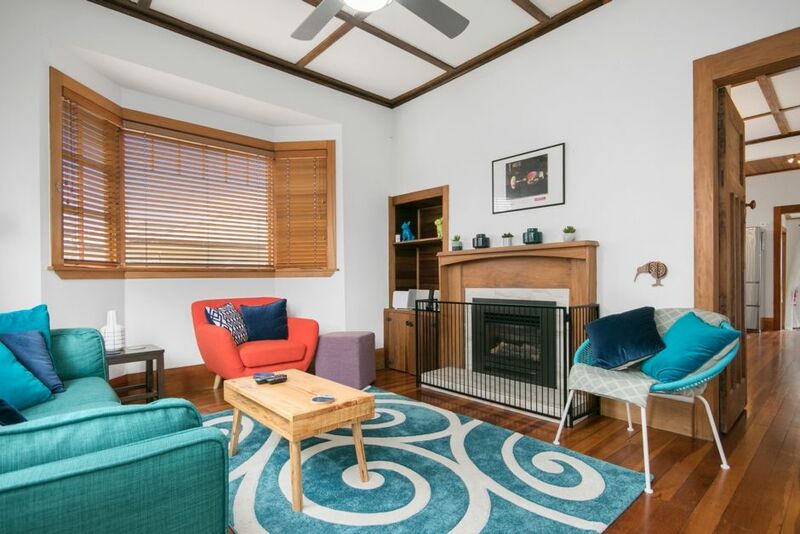 Great location 5 min walk to lake and Seddon park. 15 min walk to town centre and river. Lovely cottage, beautifully furnished with very well equiped kitchen, perfect secure garden and off road parking. Handy for central Hamilton. Will definitely stay again. The house is cute, clean, and comfortable. The house is cute, clean, and comfortable. We were pleased at how well appointed it is. The beds are comfortable and the house is conveniently located. Our stay couldn’t have been better.